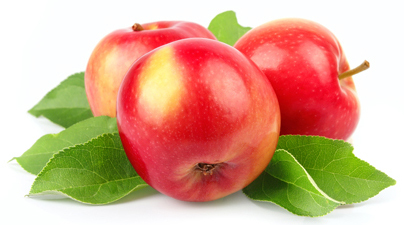 Weather INnovations Consulting LP currently supplies weather monitoring and support to Ontario orchards. WIN also provides a number of disease and insects models for the benefit of apple growers across Ontario. In 2010, Weather INnovations began establishing a set of three calculator groups, each designed to answer a specific corn production question. The calculators will be presented as interactive, internet-based crop staged production guides on weathercentral.ca. The first calculator is a corn growth stage tool which will estimate the current stage of crop development based on weather observations in addition to estimating the next significant crop development stage using the current stage, the weather forecast and normal climate conditions. This tool will also help farmers estimate the black layer date; and the date of physiological maturity. This is an important date in terms of dry down and harvest. The second calculator is a corn harvest dry down tool that will estimate harvest moisture based on the current moisture, the forecasted weather and the normal climatic conditions to an estimated harvest date. The third calculator is a corn yield projection tool which will utilize CHU data, solar radiation and soil moisture stress, the development of this calculator will provide farmers with a tool to help predict corn yield at least one month in advance of harvest. 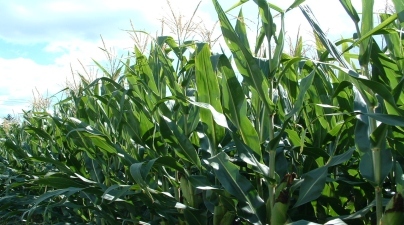 The intention of this research is to bring together research results from a number of different trials and produce an easy to follow information program to benefit corn growers in Ontario. Mycotoxin in corn is a prevalent issue. In 2006, grain corn yields suffered significantly in Ontario due to high DON toxin levels. The Niagara Peninsula is the world’s leader in ice wine production. The area’s unique location provides both warm humid summers, and very cold winter. 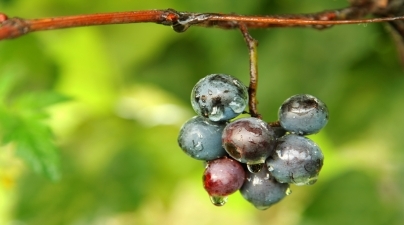 In order for a vineyard’s winter product to be considered ice wine, the grapes must be picked when the temperature at vine level is between -8 and -12 degrees Celsius. Due to the precise nature of this definition, it is crucial for growers to have an accurate means of temperature monitoring on site. WIN provides this monitoring with near real time stations. Since the crucial temperature range is often reached during nighttime hours, WIN also provides a system to alert producers when the conditions are right, enabling them to spring into action. WIN is continuously involved in work of extreme cold temperature mitigation of grape vines. Under winter conditions, it is often the case that the air is warmer above the ground than it is at the surface. Through the use of inversion fans, it is possible to bring the warmer air down to vine level, where the difference of a few degrees can make an impact in the area of frost management. As of 2011, WIN has 10 sixty-two foot inversion towers which monitor temperature at one, thirty-two and sixty-two feet levels. When the temperature aloft is greater than that at ground level, the producer is alerted to engage fans. 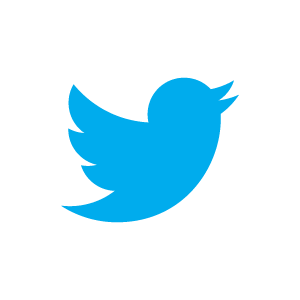 In 2009, WIN began developing a remote monitoring and control system for a standard Acoustical Bird Device, which aids in protecting graphs from bird feeding damage. An operational prototype has been developed which integrates with WIN’s existing communications network to provide remote control of the firing schedule and monitoring of position, firing events, and firing direction. Work is currently being done to improve the prototype and developing a web-based user interface. 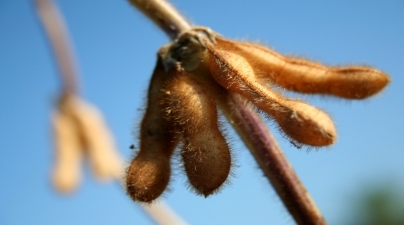 WIN is in the preliminary stage of gathering data on the prevalence of sclerotinia in soybeans and dry beans, with hopes of creating a sclerotinia model for Ontario growers. Further work needs to be completed. 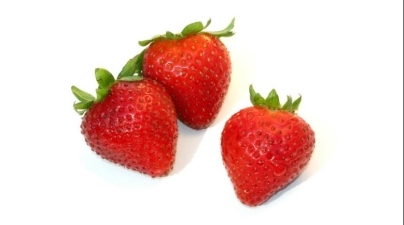 Weather INnovations successfully completed a three year research project (2009 to 2011) in day-neutral strawberries in collaboration with the University of Guelph, the Ontario Ministry of Agriculture, Food and Rural Affairs (OMAFRA), and the Ontario Berry Growers Association. The epidemics of Botrytis gray mould (BGM), anthracnose fruit rot (AFR), and powdery mildew (PM) in outdoor fields and high-tunnel environments were studied and forecasting tools for these diseases were developed. In addition, different fungicide chemistries and bio-products to control these diseases in both production systems were evaluated. The incidence of tarnished plant bug (TPB) was monitored and a GDD-based monitoring tool was developed. 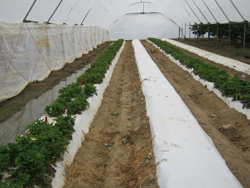 Our results revealed that incidences of BGM and AFR were significantly lower, and the PM incidence was higher, in high-tunnels than in outdoor fields. Incidences of both AFR and BGM were highly associated with temperature, leaf wetness duration and rainfall. PM incidence was mostly influenced by temperature and light. Wet leaves and rainfall reduced PM. 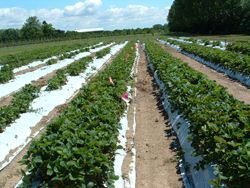 Fungicide sprays timed using forecasting models were as effective as calendar spray. Rotating different fungicides and bio-products was very effective to manage these diseases. A webtool has been deployed on WIN's website, which includes forecasting models for BGM, AFR, PM and a GDD-based TPB monitoring tool. 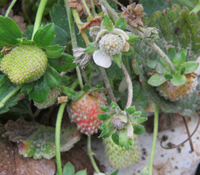 Strawberry growers are advised to use these decision support tools to protect their crops from these devastating diseases and insect. WIN wishes to acknowledge OMAFRA for funding support for this research project through joint New Directions & Alternative Renewable Fuels "Plus" Research programs, and thanks University of Guelph, Ridgetown Campus, and the Ontario Berry Growers Association for their support and collaboration in the project. 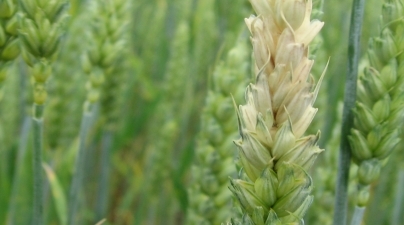 The DONcast® model was developed to provide wheat producers with a means to predict deoxynivalenol toxin (DON) accumulation levels for better efficiency in spray decisions. WIN produces a forecast of DON levels at Stage 59 of the Zadoks system (75% of the heads in a canopy completely emerged from flag leaf). The DON predictions use weather forecast data, which is then supplemented with actual data from additional weather stations. The accuracy of weather forecasts is less than perfect, and hence the reason that we have adopted the Site-Specific DONcast® approach. With this calculator, producers can try different forecast weather scenarios. DON predictions for individual fields may vary depending on the wheat variety, crop rotation, tillage, heading date, and local weather conditions. These variables are all included in the WIN DONcast® calculator, a tool available on weathercentral.ca. Weather INnovations is continually working on improvements and additions to the DONcast® model. WIN also launched DONcast® Europe, sponsored by Bayer Crop Science and is being used by wheat growers across Europe currently. Currently, WIN is in the trial stages of FUSIcast™, which will predict fusarium levels in wheat to allow growers to make timely spray decisions. WIN wishes to acknowledge the Ontario Wheat Producers’ Marketing Board, AAFC and Bayer Crop Science, Pesticide Risk Reduction Program, and Pest Management Centre.